The southwest coastal region of Bangladesh is a part of Ganges flood-plain with a brackish water regime which makes it vulnerable to natural disasters. World largest single tract mangrove forest ‘Sundarbans’ situated in this region consisting 6000km² is a UNESCO World Heritage Site and Ramsar Site of Bangladesh. 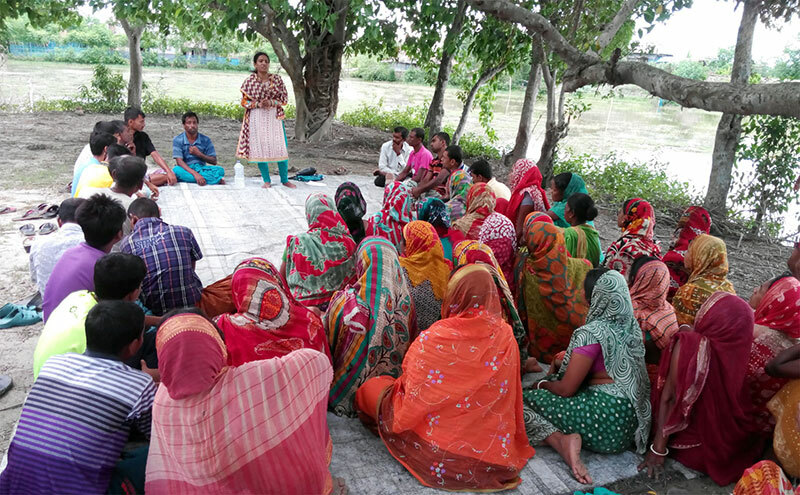 The Sundarbans play a key role for supporting a wide range of floral and faunal, highly productive biodiversity and ecosystem services support to livelihoods of local communities. There are 234 species of flora and 505 species of fauna and there are hundreds of big and small rivers and canals which lie within the Sundarbans Reserve Forest (SRF) area. The livelihood of around 3.5 million people in the impact zone of the Sundarbans are directly and indirectly depending on its resources including fisheries, woods, and non-wood forest products. Properly addressing of natural disasters and sustainable use of resources and local culture and civilization has developed through the centuries. Former experiences indicate that mangroves also protect embankments, farmland, rural houses, and livelihoods from cyclone, tidal surge, high tide and floods. Unfortunately, during the last four decades the Sundarban Reserve Forest became more rapidly vulnerable due to unnecessary human intervention and adverse impact of climate change. This is caused by sea level rise, increased frequency and intensity of natural disasters, reduced fresh water flow from upstream, riverbank erosion and silting up of riverbeds, increased and intensity of salinity and water-logging. Thus the ecology and biodiversity became under threat, resulting in reduced natural regeneration processes of mangroves species (flora and fauna) and biological productivity, increasing over-extraction of the mangrove resources without considering its sensitive ecosystem. Besides, adequate knowledge about the environmental and economic importance of mangrove and coastal wetlands ecosystems as well as values of mangroves is lacking. As a result, this causes damage to the livelihoods of the local people and increases their poverty circle. 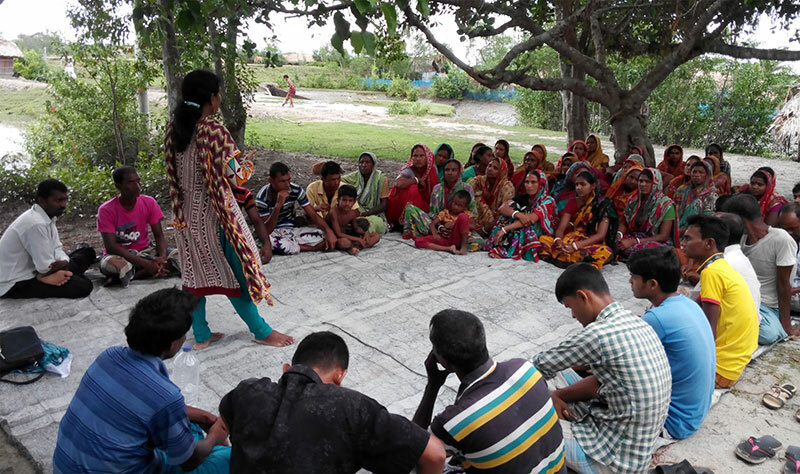 Objective of the project: To increase mangrove restoration and plantation on the river banks through enhancing capacity of local communities and develop community based mangrove ecosystem management in the impact zone of Sundarbans mangrove forest area. Developing a Mangrove Nursery: five mangrove nurseries will be developed in the project area. Seed will be collected from the local rivers and canals during tidal flows. Sorting of good quality seeds of selected species, sowing in the brackish water and properly nursing those to growing plants needs to be done. Through this process mangrove nurseries become productive (these will be community entrepreneurship nurseries which happens for the first time in this area). Mangrove Plantation and Restoration: ‘Bhadra River’ is one of the main tidal rivers of the Sundarbans. Mangrove plantation and restoration sites will be in the inter-tidal mud flats on the east bank of the Bhadra River (Srinagar village of Kamarkhola Union, in Dacope Upazila of Khulna District). Floating mangrove seeds will be collected from the river during high and low tide by trained group members. After sorting of selected species, good quality seeds will be planted at the river banks. Besides, mangrove nursery will also provide plants which will be planted in the same ecosystem areas. The group members will take care of this. Through this process mangrove restoration and plantation gradually will grow and contribute to the coastal ecosystem. River bank tidal lands lies outside of the embankment which is a public property under the authority of the Bangladesh Water Development Board (BWDB). That will be used for mangrove plantation and embankment protection purpose with the permission of BWDB without any fees or costs.